Have you ever wanted to just lie down at your desk? Now the Altwork Station lets you do just that and still get work done. 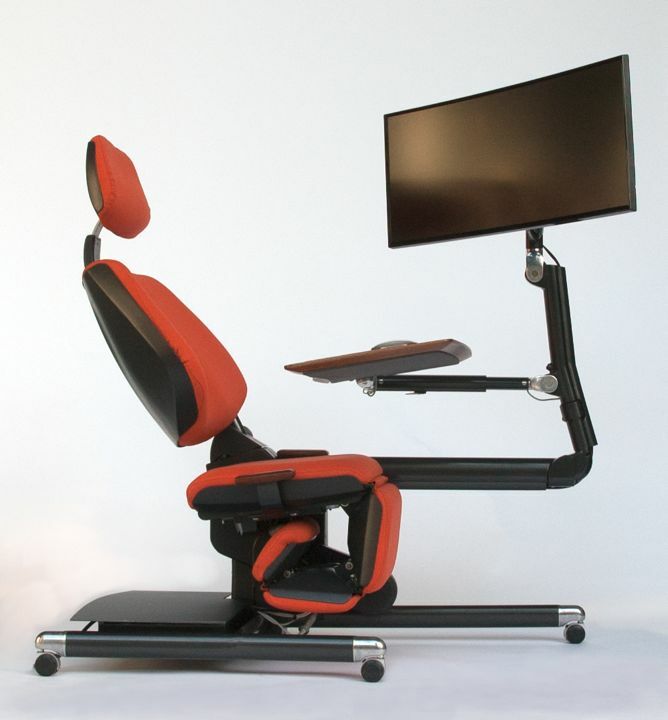 The Altwork Station, which has been five years in the making, allows you to sit, stand or lie down – all with your monitor hanging above you. The workstation looks similar to a chair you would see at a dentist’s office, except with a few upgrades. Altwork Station’s monitor and laptop are securely attached to metal arms (to make sure the laptop doesn’t fall and hit you in the face as you recline,) and its keyboard and mouse are stuck on with magnets. While many of us fidget at our desks to feel comfortable, with the Altwork workstation you don’t have to adjust to the computer monitor, it adjusts to you. With just the single push of a button, you can decide what position you want to sit or lay in, all while the monitor moves with you and adjusts to provide the optimum viewing experience. Yet this workstation isn’t only for laying down, it also allows you to stand while you work – as it’s been proven numerous times that sitting at your desk all day is not what the human body was built for. Switching from sitting, standing and laying down will surely give your body more movement and variety throughout the day. 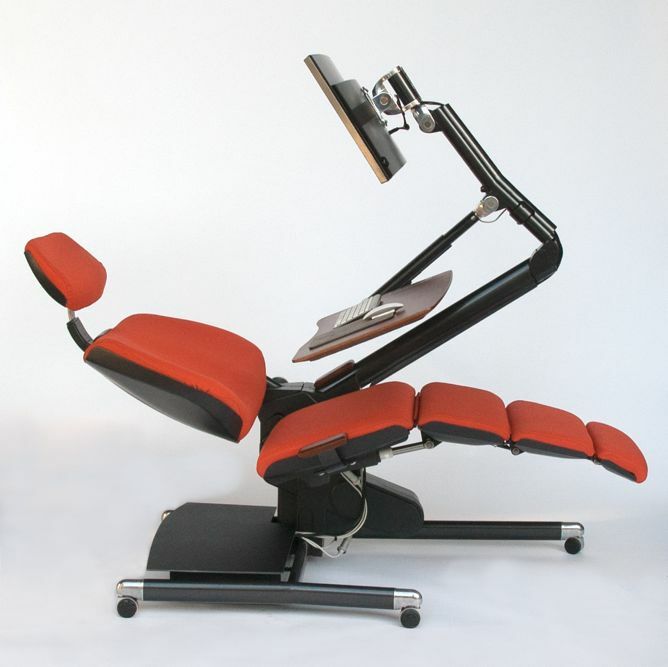 The Altwork Station allows for many different reclining positions. 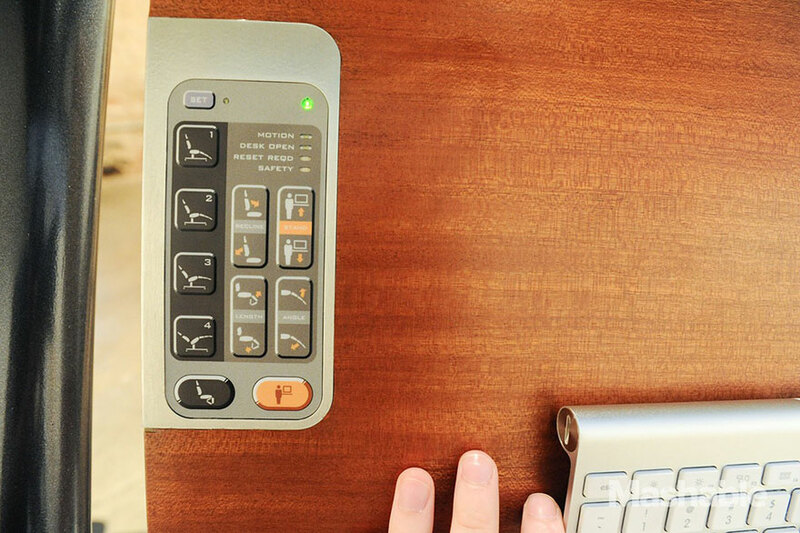 The Altwork Station can be easily controlled with the touch of a button. The company website explains that, “Altwork is designed for high-intensity computer users, which we define as people that spend at least 4 hours a day in front of their personal computer and are required to focus on complex tasks for extended periods of time such as developing software and producing computer automated design work.” So for people who only use computers for a brief amount of time this chair might seem completely unnecessary, but for those who know just how uncomfortable it is to work at a desk for a long amount of time, this workstation might be worth the money. And we say worth the money because this chair is not cheap. For the early adopters it will cost about $3,900, while at full retail price you can expect to pay $5,900 – yes, that’s for one chair. What do you think, are these the kind of workstations we should expect to see in future offices?